A new year has come and it’s time to think about gemstone jewelry. As with every new year, there come fresh jewelry trends. Want to find out which stones are fashionable in 2019? Read further to find out. When buying precious & semi precious stones jewelry, trends also play an important part. 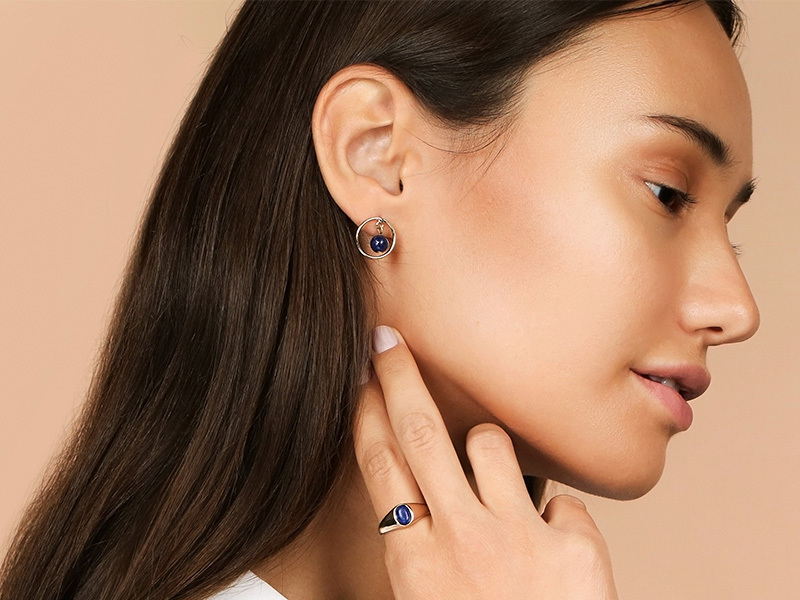 This is why Ana Luisa has created a top of the most interesting gemstone jewelry styles in 2019. Get comfortable and expand your jewelry knowledge to start the year in style. We are going to start with the earrings as, for most women, these are the focal points of their outfits. So, which gemstones will be a popular choice for earrings in 2019? Pearls will continue to be trendy in 2019 with many earrings incorporating pearls in their designs. However, the jewelry world will stray further away from the classic round pearl shape and tap into more creative designs featuring baroque pearls. 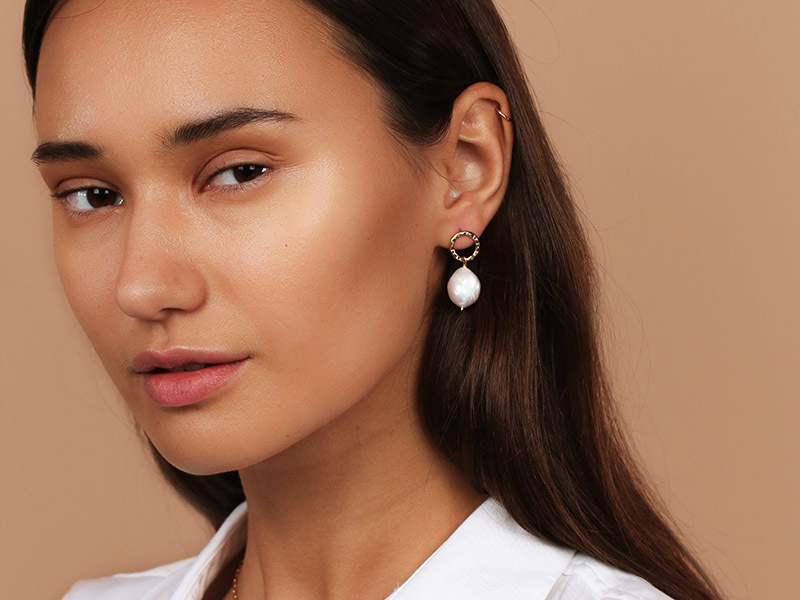 If you don’t own a pair of pearl earrings, this is the first gemstone jewelry piece you should add to your collection in 2019. Classy, versatile and creative, pearl earrings will become your favorite jewelry pieces this year. And, on the opposite side of the subtle milky white pearls, there is the vibrant lapis lazuli. With a deep blue color and gold or silver specks, this fabulous gemstone will appear a lot in earrings designs in 2019. In fact, lapis lazuli gemstone jewelry is a big trend this year, so it’s time for you to discover the beauty of this stone. To shoot two rabbits at once (metaphorically speaking, of course – we love rabbits), get a pair of small hoop earrings featuring a lapis lazuli inner stone. Other gemstone jewelry trends for earrings include agate, clear gemstones, as well as opals. Dive into the world of precious & semi precious stones and upgrade your personal jewelry collection. By necklaces, we mean both statement designs and pendants that incorporate gemstones. 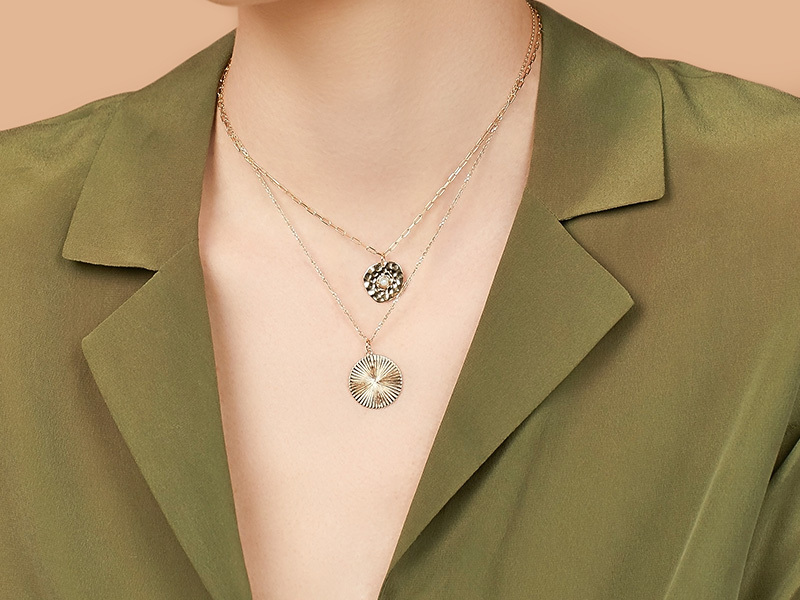 In 2019, pale and delicate colors will take the lead when it comes to your necklaces. Whether you are aiming for a formal look or a casual outfit, gemstone jewelry featuring pale stones will be very trendy this year. Yes, pearls are also great for pendants and necklaces and we bet you already own a couple of fabulous designs. However, moonstone pendants are also very fashionable this year. With its mysterious inner glow, the moonstone is a favorite for women who love to wear feminine and delicate designs. If you want to try a bolder look, you can get a layered necklace featuring multiple pendants among which you can find the moonstone. And what about other gemstone jewelry options for your necklaces? Think rose quartz, amethyst, and clear crystals. Besides looking fabulous, necklaces and pendants that features one of these gemstones are also very easy to match any occasion. Go ahead and try this year’s pale gemstone jewelry trend. Before talking about the stones, let’s take a moment to acknowledge the fact that 2019 is the year of cocktail rings. We know you’ve been waiting for this one, so here is your reward. Chunky, vibrant and stunning, cocktail rings will be a focal point in 2019. You can buy new ones or simply raid your grandmother’s jewelry collection. When it comes to stones, the rings this year will feature a lot of vibrant gemstones. 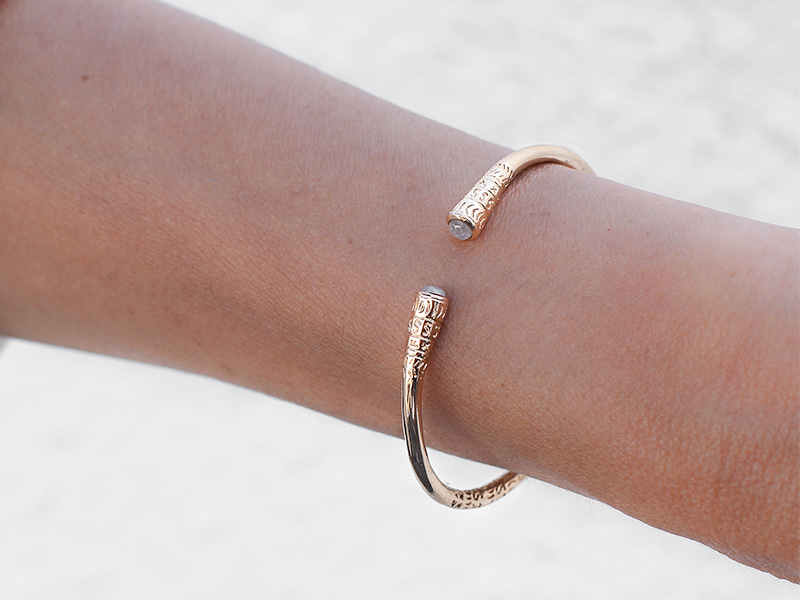 However, pale stones will also be fashionable, especially when set in gold or rose gold. 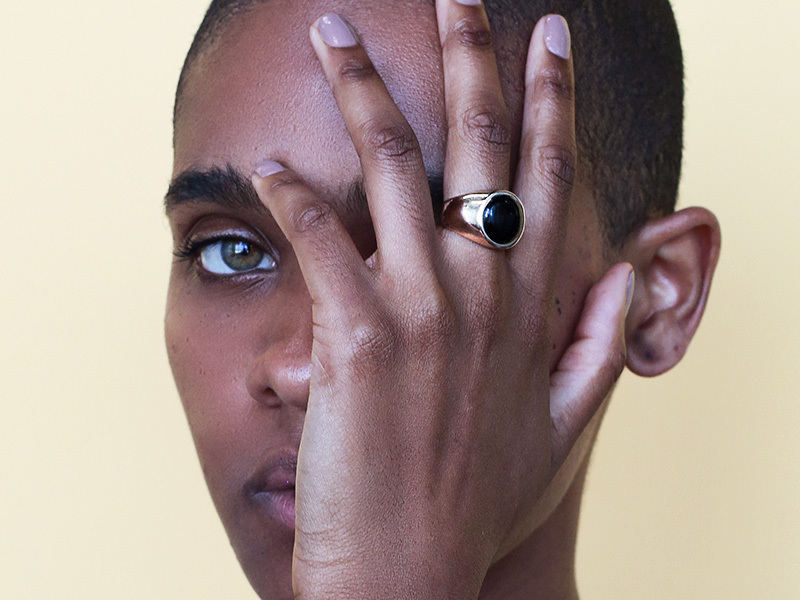 Onyx signet rings are a great trend to follow when it comes to gemstone jewelry in 2019. If you want to add a little bit of color, try lapis lazuli, emerald, garnet or ruby. And last, but not least, to stick to the pale gemstone trend, try a big ring featuring a moonstone. And what about bracelets? Well, the focus in 2019 is on gemstone cuffs. Whether you choose a bracelet with inlay stones or one that features gemstones in a setting, you have the opportunity to add a touch of color to your jewelry. For those of you who want to stick to the pale gemstone jewelry trend, try a moonstone cuff bracelet. However, if you want to make the bracelet the focal point of your outfit, look for agate, onyx, and turquoise. If you love gemstone jewelry as much as we do, then you already have a shopping list and can’t wait to try out these new trends. But before buying jewelry, it is always a good idea to think about the pieces you will match it with. Pale gemstones look great with gold jewelry and patterned clothes. Blur or deep green stones look gorgeous with silver and white gold jewelry. Last, but not least, onyx jewelry is very easy to match with other gems such as moonstone, agate, and amethyst. If you enjoyed finding out about the most trendy gemstone jewelry in 2019, then we invite you to read our other articles as well. You will find plenty of useful information, for jewelry styling inspiration to buying guides and fascinating facts about gemstones. If you want to start shopping for new jewelry and take your jewelry box to the next level, visit Ana Luisa online jewelry shop. In our unique fine jewelry collections, you will discover stunning designs at fair prices.